With Auckland house prices at record highs amid a disconnect between supply and demand, mortgage brokers say the new first "home" for many first home buyers targeting central Auckland is a two bedroom brick and tile unit, - that's if they can afford even that. The latest monthly figures from the Real Estate Institute of New Zealand show a fresh record median price in Auckland during August of NZ$505,500, with the city's stratified house price index - calculated in partnership with the Reserve Bank to average out sales prices for common groups of houses - also at a new high. And figures from Auckland's biggest real estate agent Barfoot & Thompson last week show its listings at their lowest level - on records available that date back to January 2001 when 7,185 properties were listed - of 3,777. In August Barfoot sold 1,016 houses, its most in an August month since 2003. Against this backdrop Squirrel Mortgages principal John Bolton says in the inner city some prices are getting a "bit crazy." Bolton says standard brick and tile two bedroom units that previously would've sold in the low NZ$400,000 range, are now going for NZ$550,000 in suburbs such as Mt Eden, Kingsland, Waterview, Pt Chevalier, and Sandringham. "I think what that's a reflection of is that's all first home buyers can buy in those markets now and there's not a lot of supply. In those hot suburbs you're really noticing it, particularly at entry level property where those things are just getting bid up," says Bolton. "I had a client go for a two bedroom brick and tile, probably 60 square metres maximum, in Mt Eden. The CV (capital value) was NZ$420,000 and it sold for NZ$580,000." Campbell Hastie of Go2Guys says he's seeing similar things. "Clients of mine bought the place they're in now - a two bedroom unit in Sandringham - for about NZ$315,000 in April or May last year. 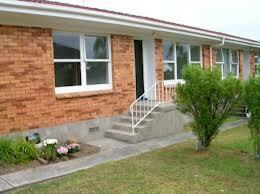 They did minor renovations and now it has a registered valuation of NZ$420,000. (Up) 110 grand in 12 months, not too bad," says Hastie. "That is the type of property a first home buyer is probably going to be looking at in that part of Auckland," adds Hastie. Hastie, who specialises in first home buyers, says there's a ripple effect underway with many people now looking at suburbs further out of the city than planned because they're getting "blown away" when bidding for central properties, many of which are selling in auctions. Congratulations to BH, you have been highlighted in Sir Bob's NZ Herald article today..
PS. Bernard, is Rod Oram your long lost evil twin? Sir Bob is old man - he does not see the difference between law of gravity and "law" of supply and demand; he can't see the difference between science and "science". The history for him is the one he lives in - nothing besides is relevant. He will be forgiven…. And in my book he's the only (ex) politician that called a spade a spade.. and he knows of a good way to deal with pesky journalist. Hmmm...... I'm not understanding this logic. "American bookshops had whole sections containing dozens of books on the coming debt-driven economic collapse, just like today. Subsequent booming prosperity made these apocalyptic claims risible"
Bit of a boring grumpy old rant really! From a property Bear ..... this is all true !! a 2 bdm unit in Mt Eden (B&T mid 60's) next to mine sold recently at auction for $583 !! This is truly ridiculous ......but it's a fact. Almost makes me want to shout to the property bulls ... if I can walk out with $600 for mine, you can take it !! So all you spruikers out there...mother herald, bank economists and banks, R E agents, PI's etc etc "keep on spruiking" as the higher they go, the harder they fall ! These prices are absurd. As a future first home buyer (15 months away), it's so frustrating to watch prices skyrocket. Surely if there was an LVR cap at 80% these sales wouldn't happen. It would stop the crazy speculation and the forever price increases. However from what I read a small % change say 80 to 81% makes a big effect because of teh multiplier....so if we are at 95% now then a cap of 80% brought in tomorrow would collapse the market. So to get to 80% would take a decade possibly. A change to 80% LVR would not collapse the market. In 2008 you couldn't get a loan without 20% deposit. Oil was $147 and projected to go to the moon. Dairy prices had collapsed and farming was looking bad. Overseas housing market in freefall and a general buzz that the world was about to end - all that wasn't enough to collapse Auckland prices. The correction didn't even wipe the gain that was made in 2007, and most of it was recovered in the miniboom of 2009. The number of sales that could be catoregised as crazy speculation is very low. The problem is a lack of housing stock relative to the number of buyers and the fact that our interest rates are the second highest of comparable countries and likely to go lower. To explain how LVR fuels the market, I will use an example. Say I have $50,000 deposit. As you can see, the maximum amount increases exponentially as you approach 100%. For a low LVR, it doesn't matter what your salary is, only the amount of deposit you have. If you earn a million a year, you can still only buy for 250k against your 50k deposit. As the LVR increases, you need less savings and can max out your borrowing based on your earnings/affordability/whatever the bank dreams up. Kiwimm - very good post. You also then dont mention the knock on effect for subsquent buyers. That 250k house now has more competition, as more first time buyers can jump in....and the first time house is always a faught over sector/ price bracket IMHO. So its price rises, lets say its now $300k, a 82% (ish) LVR. hence why 80% LVR is a sensible limit that Texas for one should have been followed on....95% now seems common and very silly IMHO. This is actually a form of price fixing/setting using LVR's. As successfuly done by that bastion of communism for many decades, Texas. The mechanism referred to above "LVR" ought to be substituted with "DPR", debt peonage ratio. or even peak oil prices I wonder how ppl will feel at $3 or $4 a litre, or even petrol rationing. Some are going to find it a long walk. Stay in the city during the week and go home in the weekend, but Len Brown will soon make it illegal to sleep in those fancy bus shelters! I car pool at the moment so petrol only costs me $50 per week - which is less then I spent on parking in the city. The wife only has to use her car when it rains or does the shoping. The time is more of a hassle. 30 - 40 mins in the morning and 40 - 60 mins at night on a good day. We still have her salary to fall back on so that should top us up to $200K pa. I am hoping to finish paying off the house in a couple of years then buy a lifestyle block, some chickens, plant some veges and install a solar panel and live off the land. G'day Shorts, what are your working hours? Am thinking of doing the same commute. How long does it take to do the run realistically? For you and I, (I'm already on the train) for many there isnt that easy option. My mother-in-law for instance has to have a car as there is no public transport at all....or a push bike and that would be some cycle to work!!! It's not just the commuting that will hurt (that can be mitigated, at least in the short- to medium-term, by changing to a more fuel efficient car) so much as the increased cost of everything as extra oil costs are passed on to the end consumer. Otherwise yes all those other items like food that have substantial fossil fuel inputs are either going to go up in price, or the business will drop prices and then go bye bye as ppl stop buying as they are broke. If petrol did get to those prices then commute would take half as long as there would be less traffic on the road so I would save on petrol. I also didn't mention that I don't have to go all the way into newmarket any more as I changed jobs and now only have to come into East Tamaki. Newmarket would probably add another 20 - 30 mins a day. It uses a third of the petrol any car will use over the same distance, and you get to filter through all those stationary vehicles by riding down the centre line. This means you go straight to the front of the queue. Living in Auckland and commuting in a car is masochism. 1) such as the greater possibility of serious injury. Stationary bastards open their door as you go past and seriously screw you up or even push you into incoming traffic like buses. I saw this happen to a mate, the driver didnt look apologetic or concerned but smiled smuggly. I suppose if you lived and carried a handgun you could get even. 2) Both need petrol, just try jumping a queue for the petrol station......Americans shoot each other for that. My nirvana would be a bio-deisel bike, ugly idea I know but the idea isnt to look cool or be fast but the get there. 2b) Electric 2~3kw bike while neat is $8k odd v $3.5k...but a serious option for me in the future. "Car commuting", yes I agree, one of the big reasons I left London and use a Train. You definitely need to pay attention to the cages when you filter, although not too many folk want to have their door ripped off by a biker. ... well yeah, if you buy new! Comments several months ago by Basel Brush and Christov described how one over-the-odds property purchase can cause a cascading domino effect. One purchase by a new arrival, at the high end of the scale, can trigger off 10+ subsequent sales as the vendors relocate, trading down or trading up. As improbable as it may seem, if you apply the butterfly principle it is possible for 1 wealthy migrant to arrive in Auckland and trigger off 6000 sales in one month. The question is - is that what's happening? Is that what's driving Auckland prices up? Or has the local citizenry had a collective (domestic) brain-snap and, simon-says, all-together-now, lets go out and buy property at ridiculous prices, before it's too late. Or, (listening to the chatter), is this whats happening - Canada cracks down on immigration and residency scams. Global industry on how to scam the immigration system, refugee and residency fraud. The object is to obtain the benefits of residency (welfare, education, medical) without even living in the country. It's a global industry. The detail is in the video. The question is - has it reached new zealand shores yet? Now if there are a decent number of such buyers as you mention then the snow ball effect could be even bigger. When someone is prepared to pay $580,000 for a crappy 2 bedroom unit in a crappy 1960's 3 unit block with a shared driveway and shared carports at the back - something very radical is going on - they are buying more than accomodation. What? Or is it simply casino country? Are you thinking this example has the hallmark of a price fixing game comparable in relative benefit to that available in the libor fixing scandal. Which authority has the right to impose penalties, if any? The problem is a lot of new first home buyers WANT to live in central Auckland on the back of a hand out from mummy and daddy bumping up their deposit. All about keeping up with the Jones' eh?? Suckers if they want to buy a cross lease 2 beddy brick and tile in an "central entry suburb" for $550K+. Yeah yeah but you will end up spending even more money buying a black Holden/Ford/Mazda 323..a pair of black jean, black T shirt and grow a mullet.. I would rather buy a 2 bedder and have Sally as my neighbour instead of Cheryl West! yep and further out in Pukekohe 550+ will get you a 4 bed/2 bathrm - internal double garage, brick and tile, decent schools, good shopping, design your own house built for you, everthing brand new... nice! It was taking me up to 1.5 hours a day to commute from Howick to Newmarket anyway. If we had to pay $600K+ for a house then my wife would go back to work and we would still not be anywhere near the city centre. There would also be 2 of us commuting which would add up to more then I am commuting now, plus the extra cost and hassle of daycare. I am happy to put up with the commute as long as the kids can have their mum at home. I leave home at 7.30 and am home at 6 most days. I don't have to get the kids ready for daycare or come home to a house to clean up so I probably save an hour or so there as well. Could probably look to go to 4 days a week in a few years as well once the mortgage is gone. I recall Prof Cumberland (Auckland University geographer) in the early 1980's saying that developments in communications as part of a technological age would mean that cites would be a passing phase of an industrial age. He foresaw the equivalent of an internet and World Wide Web although it was then still ten years off. Remember that cities were a product of the industrial revolution when in a space of only little more than 50 years the population of England went from an agricultural society with 80% of its population rural to an industrial society where 80% were urban. We really need to ask why many of the roles are located in the heart of the Auckland CBD other than for egotistical reasons. The focus of retailing has already shifted away from the CBD and for economic and efficiency reasons so too will many of the jobs that are currently located in the city centre. Maybe that house in Pukekohe is a far better long term investment than the inner city centre. There again Hawke’s Bay seems an even a better bet. Its feasible now, I pay $200 for 150gb.....sure UFB will be $200 for 1tb....but its cheap now in terms of commuting costs. The problems of housing in relation to the industrial age have never been solved. Watch out as we move into reverse!! Funny you should say that. Two years ago our family moved from Wellington to Napier. Prior to the move I managed to talk my boss into letting me work out of the Auckland office but work remotely every second week. I pay for my flights and accommodation when in Auckland. I spend 5 nights out of every 4 weeks and Auckland and my company is very supportive of the arrangement. The upside for me is that I keep a main centre salary and have a Hawkes Bay lifestyle. We bought a waterfront property for less than we sold for in Wellington. Whilst being away from the family is a pain it is not significantly more travel than before. The trade offs are really worth it for me. I believe that more companies should look at this model for their staff. Don't tell my company but I would be happy to take a pay cut to maintain this arrangment. The commute from Puke to city is the same as from Howick to city, but the houses in Puke are cheaper, thus why some people from Howick/Beachlands are moving there. I think it is obvious that as Auckland grows the entry level house will go from a detached house on 800sqm to a detached house on 400sqm to a unit and then to an appartment. Do you think any first home buyer expects to be able to buy a detached house in central London or New York or Mumbai or Vancouver or Sydney or even Houston I imagine? Central Auckland is still reasonable when you consider the amount of land a lot of the properties sit on. In most cities central land is very expensive, that is why most cities have appartments and units. It is not that prices are too high, it is that the mentatlity of everyone wanting a detached house in central Auckland is out of sync with reality. Hubble bubble toil and trouble.... although less of the former, more of the latter really. Read Olly Newland's columns over the past year or two. "Olly was right and we were wrong- we humbly apologise"
“Know when to hold ‘em, know when to fold ‘em, know when to walk away …” There must have been a point when he was worth $40 million, even on paper, where he considered cashing in his hand. Obviously he was just as right then as he is now. The article should be compulsory reading for all the weak- kneed know-alls who predicted the end of civilization only a short time ago. "Greater Houston has a population of about 6.1 million, with a $US384 billion economy ( NZ 4.4 million population GDP PPP about $US130 billion)"
Steve Keen called it on the GFC back in the early 2000s, when everyone else was lauding the "Great Moderation" and the neo con End of History. Now US property prices have collapsed around 40%. His articles appear on here, you should read them. The fact the Australian and NZ housing bubbles have inflated even further instead of bursting or deflating is not a good situation. Steve Keen explains in his various lectures and interviews why. ..... and not before time , that a few Aucklanders screamed " armageddon out of this rat-race , and heading down to Mayor Tim and Invercargill . " The New Zealand Productivity Commission as an independent Crown Entity* established by the Government in December 2010. The Commissions purpose is to help the Government improve laws and regulations that guide and incentivise how individuals, businesses and other organisations make their decisions. One of their first tasks was to investigate housing affordability. At first glance this doesn’t appear to be a topic of high importance to New Zealand’s productivity, however housing is the single biggest expenditure for most New Zealand households and comprises the main share of both household assets and debt. What are the key demand and supply components of housing affordability? How can the housing market work better to improve housing affordability? What can be done to remove impediments to home ownership? We were very pleased that the findings of the Productivity Commission largely agreed with our recommendations. so that is terms acceptable to National, Labour and the Greens (keith Locke and his entrails). The Australian Productivity Commision concluded that there was little or no discernable benefit to Australians from immigration and that bringing in people to counter an aging population is just a sugar rush. Our own Savings Working Group put the blame for high house prices fairly and squarely on government policy, citing immigration and tax breaks for property investors. "Based solely on the fertility and migration choices of New Zealanders (each presumably behaving fairly rationally), our population growth would have been growing only quite slowly since the mid 1970s. As it is, our population growth since 1990 has been second or third fastest in the OECD. What changed? Migration policy did in the early 1990s. And 80% of our population growth in the last couple of decades has been the net inflow of non NZ citizens - thus almost purely a matter of discretionary policy choice. Government policy interventions can act to stymie successful adjustment -and I believe this to have been the case in NZ over the last two decades. Our negative NIIP position is larger, our real exchange rate is higher, our real interest rates are higher, and our capital stock per worker (and associated perceived business opportunities) are lower than they would have been if we had simply let the selfstabilising behavior take its course. As John McDermott’s slides showed earlier, that adjustment was working prior to the mid 1980s. Among policy and analytical circles in New Zealand there is a pretty high degree of enthusiasm for high levels of immigration. Some of that stems from the insights of literature on increasing returns to scale. Whatever the general global story, the actual productivity track record here in the wake of very strong inward migration is poor. In an Australian context, the Productivity Commission – hardly a hot-bed of xenophobia or populism - concluded that any benefits from migration to Australia were captured by migrants and there were few or no discernible economic benefits to Australians. And that was in a country already rich and successful and with materially higher national saving and domestic investment rates than those in NZ. But very little of the global discussion of migration has factored in the sort of specific circumstances New Zealand has found itself in. With relatively low national savings rates, and with a relatively well-educated and skilled domestic workforce, it isn’t obvious that applying a lot more labour to the situation was the route to success in trying to reverse decades of relative economic decline (a very different situation say from Singapore with lots of savings, bringing in people to utilize that domestic resource)"